Change the color as you like.Jump up high and streched out his left hand with glove, this custom baseball bobblehead sucessfully catched the ball with his left hand. 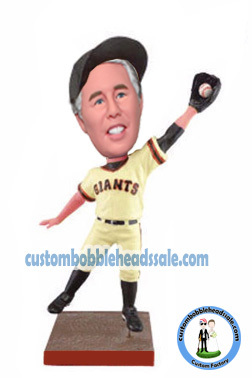 Want this customized bobble doll more personalized? Just write us a special notes, we can add name and number on the jersey that belong to the receiver! Christmas doll Gifts or Gift to send men,change the color as you like.